Saturday was a very hot day on an island in North of Japan, but it did not stop the people of a small community from gathering together and working for the benefit of people's smiles. It was a great privilege to join them. It is a tradition now, it’s the fourth spring of the Annual Beauty and Smiles Creation. Community people together were working with colorful flowers, in soulful elation. There was hard sweaty work, of a Junior High School child, house wives and all kind of teachers, Asahikawa workers, and elders living near by. It was a display of an interactive action of ninety volunteers. Dear KindSpring world, I don't know how many of you are aware of the magic you do. By sharing kindness stories you not only inspire us but also nourish the seeds of harmony and love, connect our souls with self, with others, and with nature. Today as I was crossing the road in the middle of it, was a butterfly. I thought it was dead and passed it through but my soul shivered imagining it being crashed by a car so I stepped back, took it on a piece of paper blown by the wind my way (was'nt it a coincidence?!) and let it slide in a green zone on a flower. To my surprise, discovered it was alive, flapped its wings a few times, like "a thank you note" and oh, my happiness grown so heavy, a few tons in only one second! 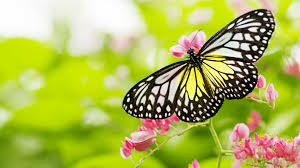 So, dear friends, if my soul was not to be filled with so many inspiring stories of kindness read here, maybe I would have never get back to save that little butterfly. Thank you! May the magic of kindness keep spreading! Grateful thanks, dear KindSpring! Today I bought a few pastries and had an 85 year old man who was sitting next to me chose one for himself. He was happily surprised and we got to talk about the sports he participated in until his late 70s. Table tennis seemed to be his favorite. It was an interesting, fun and happy moment for both of us. We just have to keep open and opportunities to do good will show themselves. People are sometimes starving for conversation or even a few kind words. These offers could be as precious as a loaf of bread. Last week I dropped my mobile phone. Imagine my happiness after 4 hours of worries, when I learned that a woman in her 40's brought it to the subway station, intact, with my prepaid credit and travel cards still in its pockets. I could not reach her to thank her, as she left no name or phone number, but, I am so grateful. I wish her wellness, and also wish she'll get back some important lost thing.